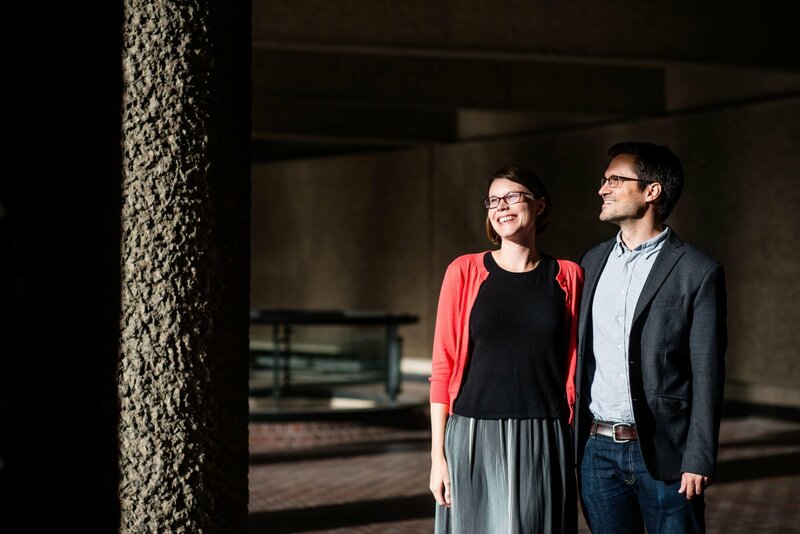 When Megan and Jonathan got in touch to tell me they’re both architects and they’d seen Maggie and Sam’s (who are also both architects!) 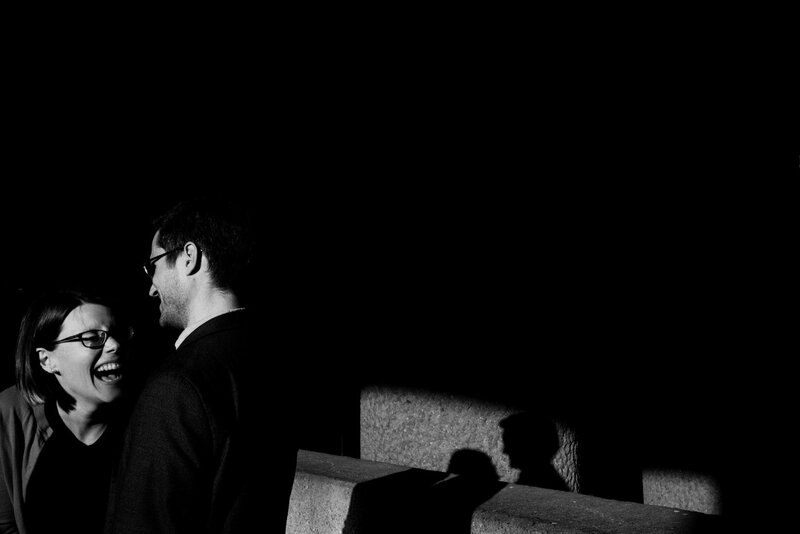 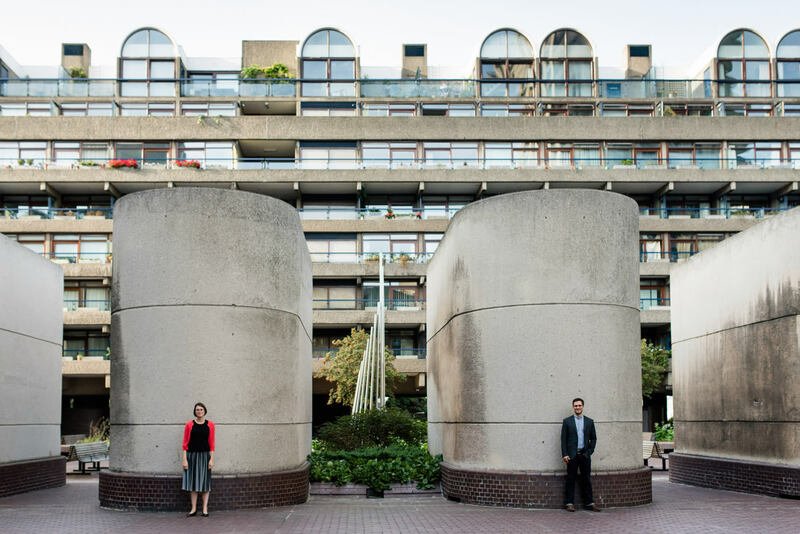 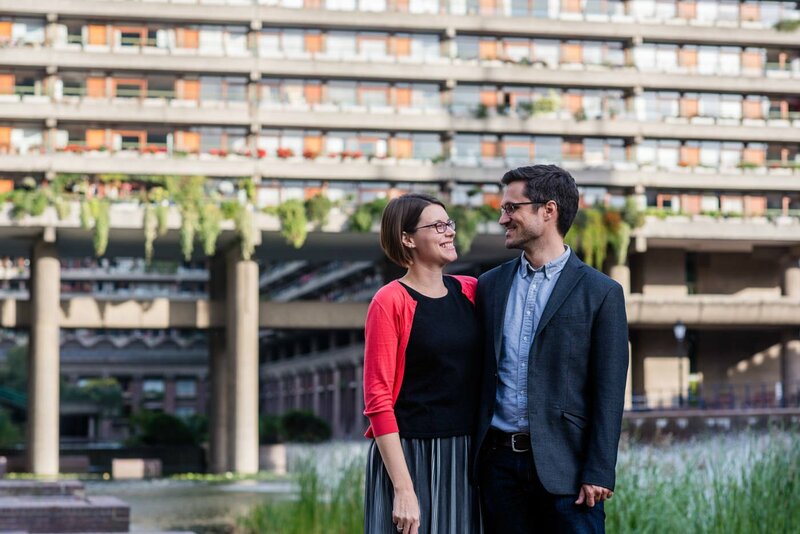 Barbican engagement shoot on my blog and would love to shoot there with me too, I was really excited to work with them. 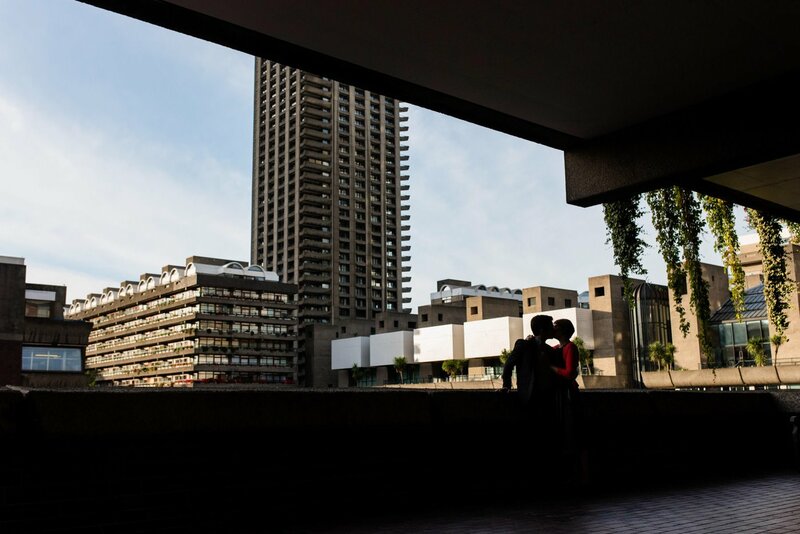 I reallllllyyyyyyyyy love the Barbican, as I’ve explained before. 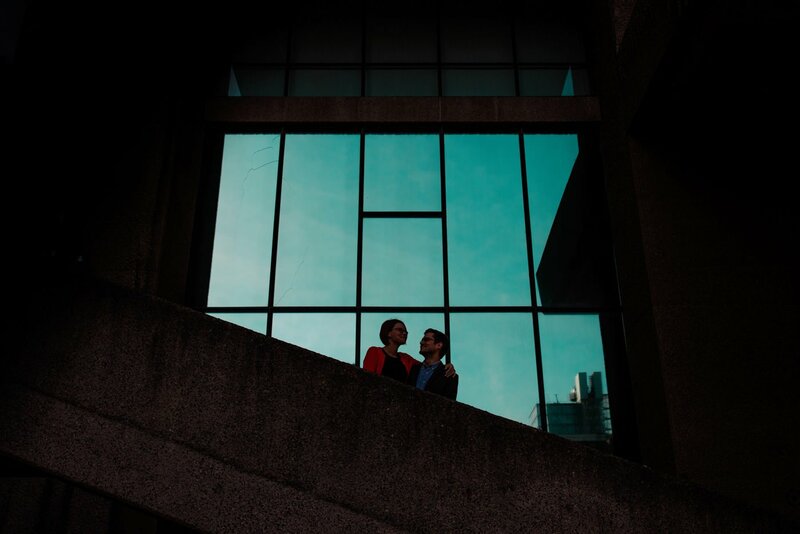 The lines, the light and the fact that there’s always somewhere new to discover makes it a really interesting place to explore with a couple and I had great fun doing so with Megan and Jonathan. 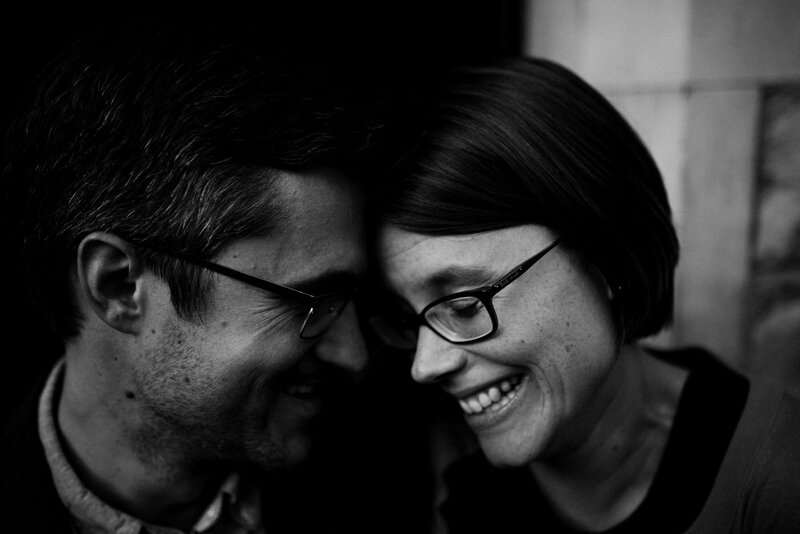 Especially as they insisted on taking me to the pub afterwards. 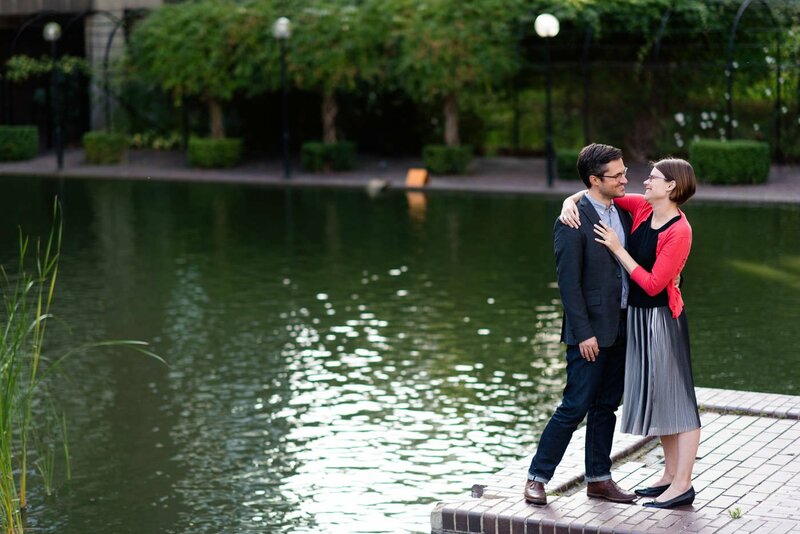 Megan and Jonathan are getting married in California later this year and I wish I could be a part of their wedding day. 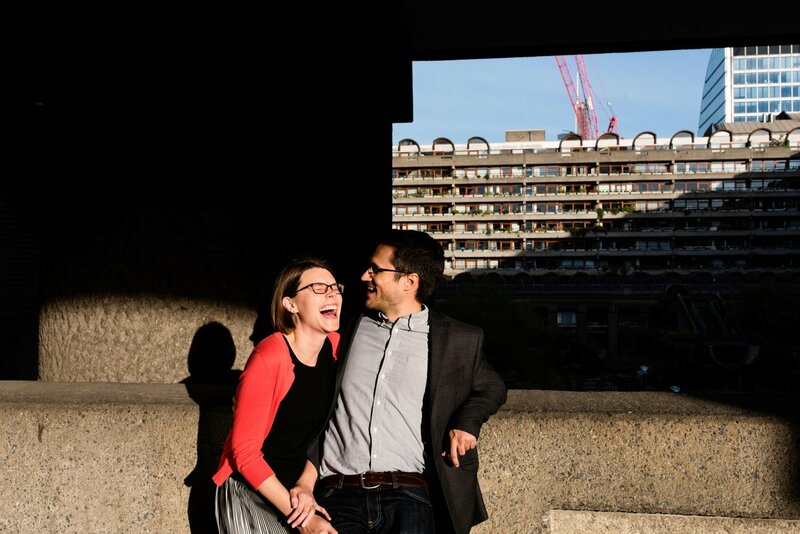 They were an absolute pleasure to work with – just look at the way they make each other laugh – joy is my favourite emotion to photograph and one of the reasons I love this job so much. 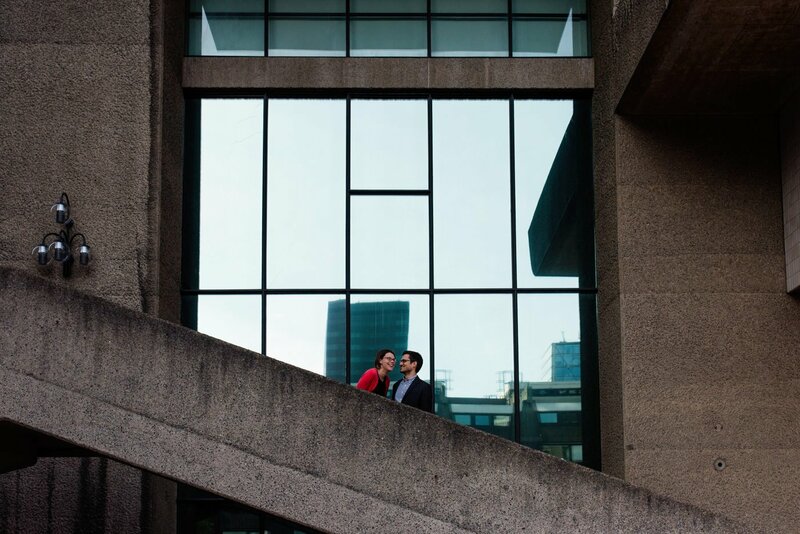 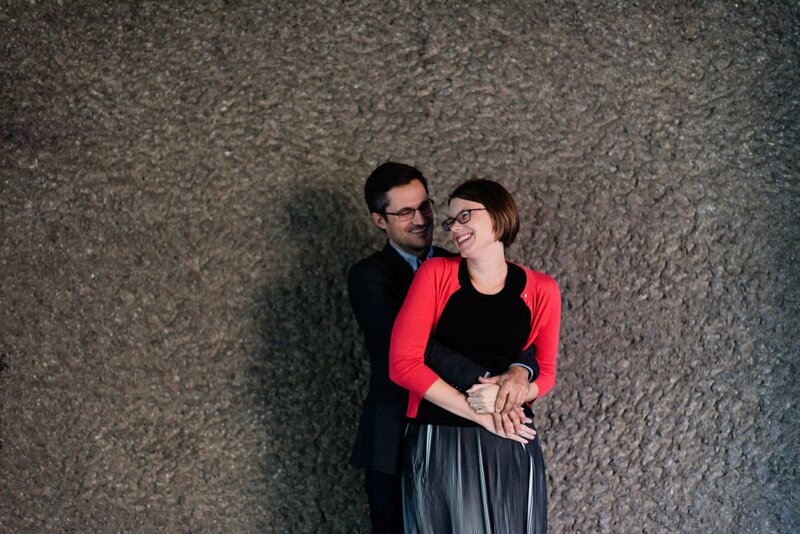 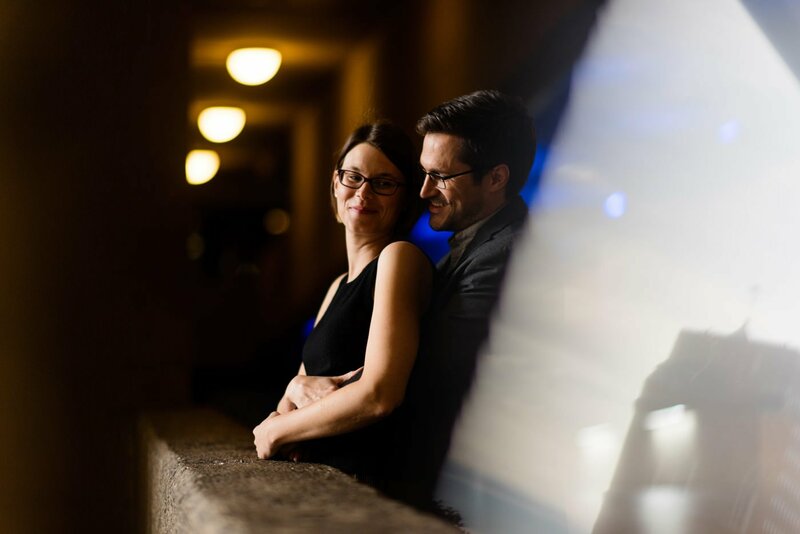 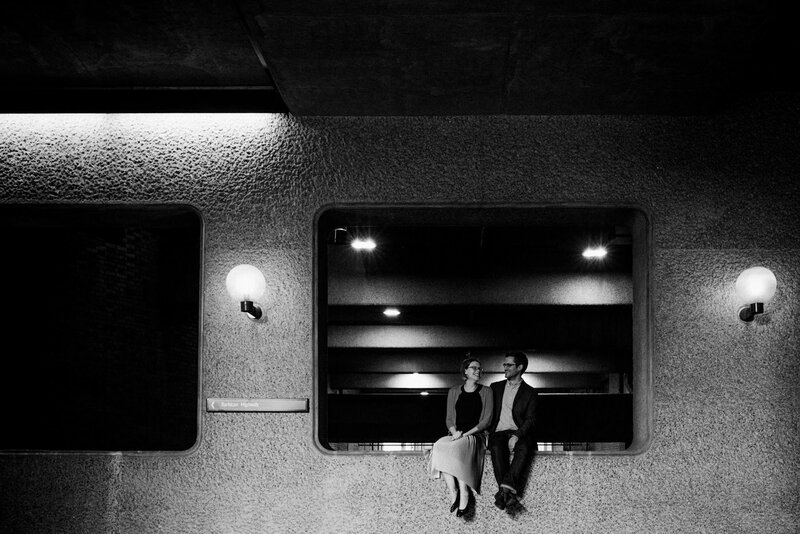 We started Megan and Jonathan’s engagement shoot on one of the upper levels of the Barbican. 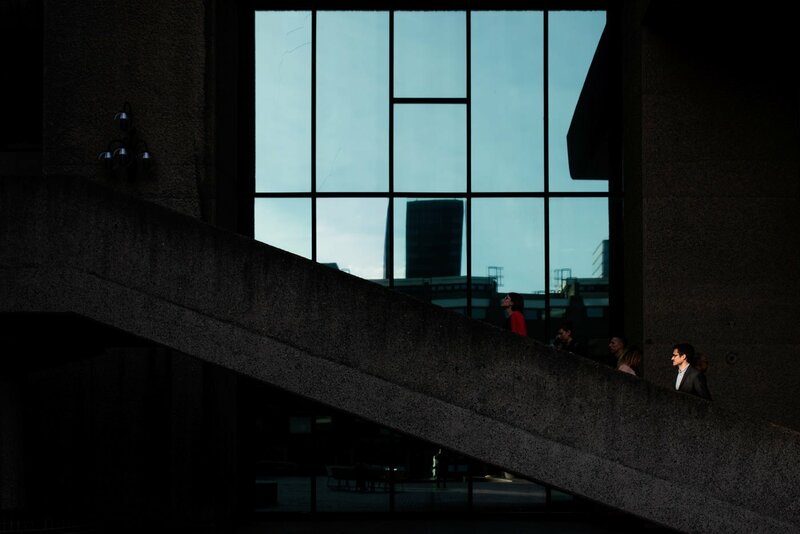 The conservatory was, sadly, closed that day but there are so many unique backdrops around the complex that you’re never short of somewhere interesting to shoot. 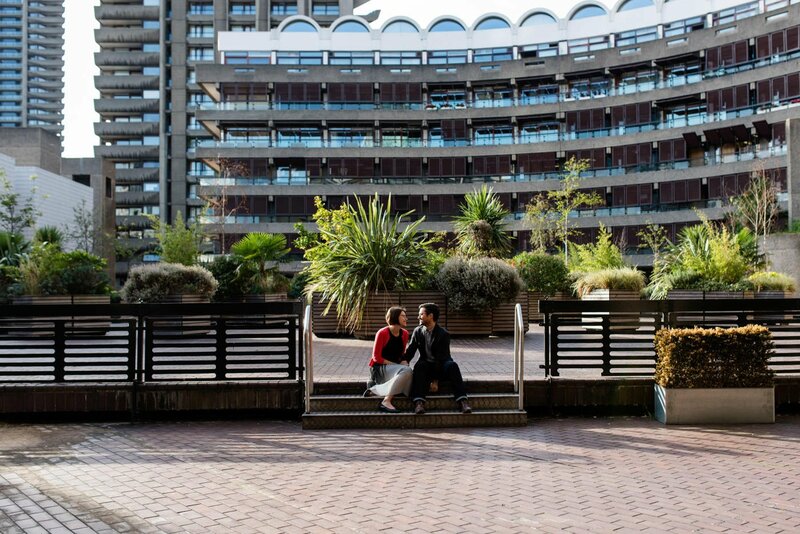 The Barbican is one of my favourite places in London and if you fancy a shoot there I’d love to hear from you. 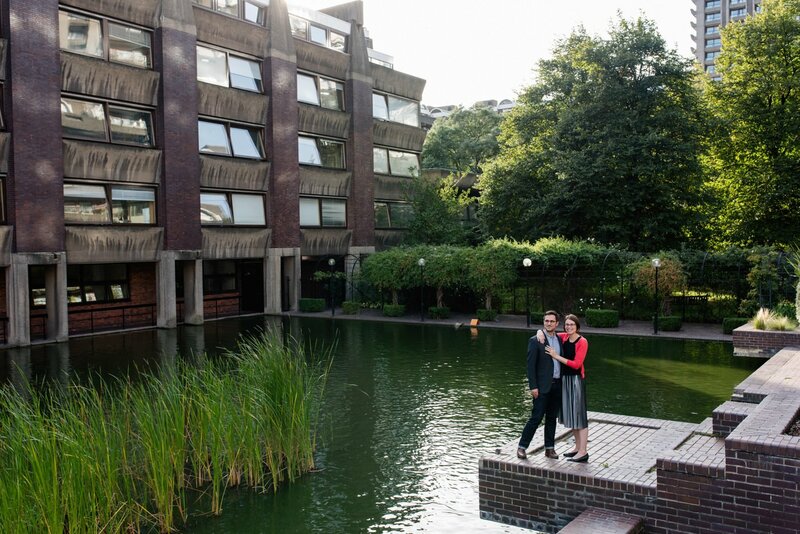 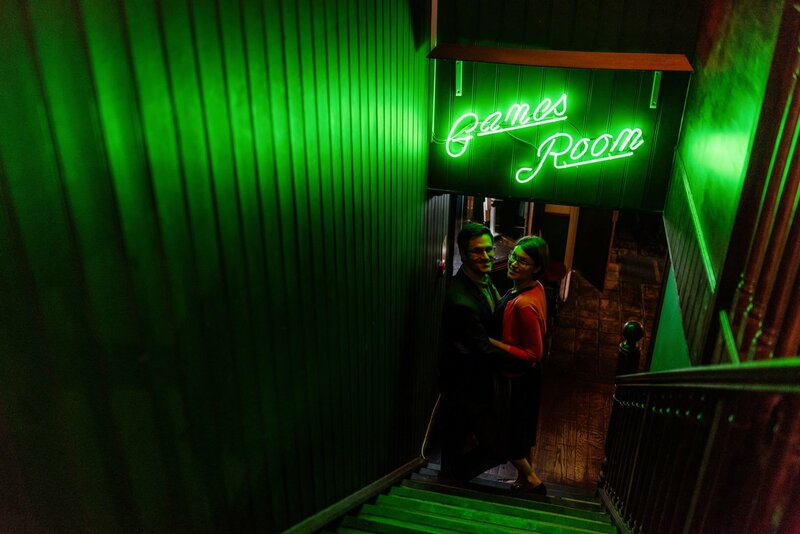 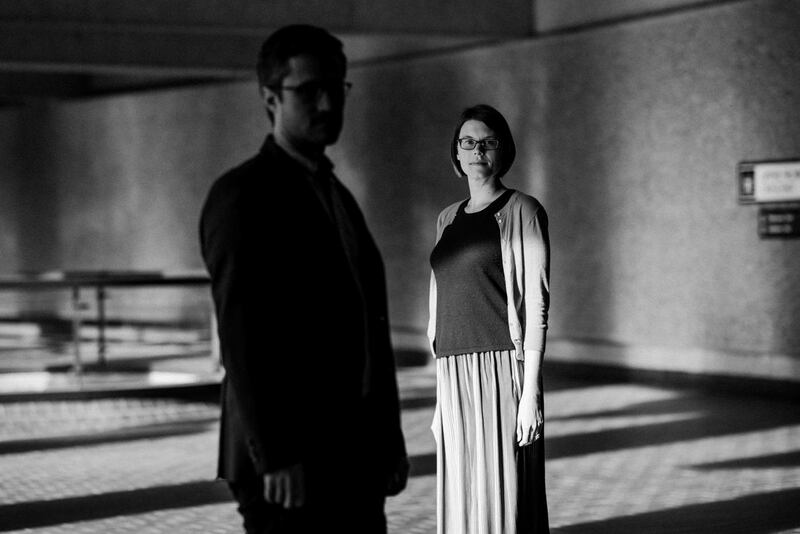 Scroll down to see Megan and Jonathan’s Barbican Engagement Photography in London.